This year 32 nations coming together in Brazil to see who would be crowned world champions and lift the 20th FIFA World Cup and the whole world’s attention is focused on the football-crazy South American nation. The festivities have just begun and will continue till the mid way of the next month and brands from across the globe are using the opportunity to launch special edition Brazil-centric products. Here we’ve gathered three limited edition timepieces paying tribute to Brazil and FIFA World Cup 2014. Take a look! Tissot has been the Timekeeper for many world-renowned sports for more than a decade. In terms of football, however, it wanted to offer its customers the chance of filling that role themselves. 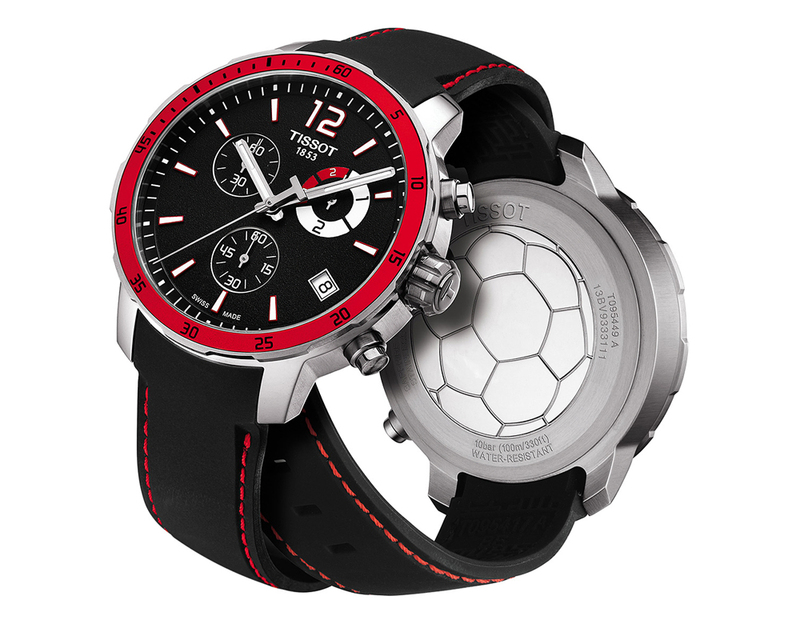 The Tissot Quickster Football watch is specifically designed to make you a part of the game. The timing features track games from start to finish, and even into overtime. Each style was created with jersey uniforms in mind, symbolizing teams from around the globe. This collection of watches also features a football engraved on the caseback. An aluminium bezel, adds a further touch of colour with styles varying depending on the model, there is no doubt that there will be a watch to suit everyone’s taste. A date display at four o’clock will remind you of the day so that you don’t miss out on the important games. This exceptional watch is a watch specially designed for the world of football. It’s the Official Watch of this year’s FIFA World Cup in Brazil. It is the first time Hublot has unveiled a watch with a bi-retrograde display – the hands return to their starting points at lightning speed. The dial bears the national colors of Brazil – yellow and green – where the FIFA 2014 World Cup will be hosted from June 12th thru July 13th. 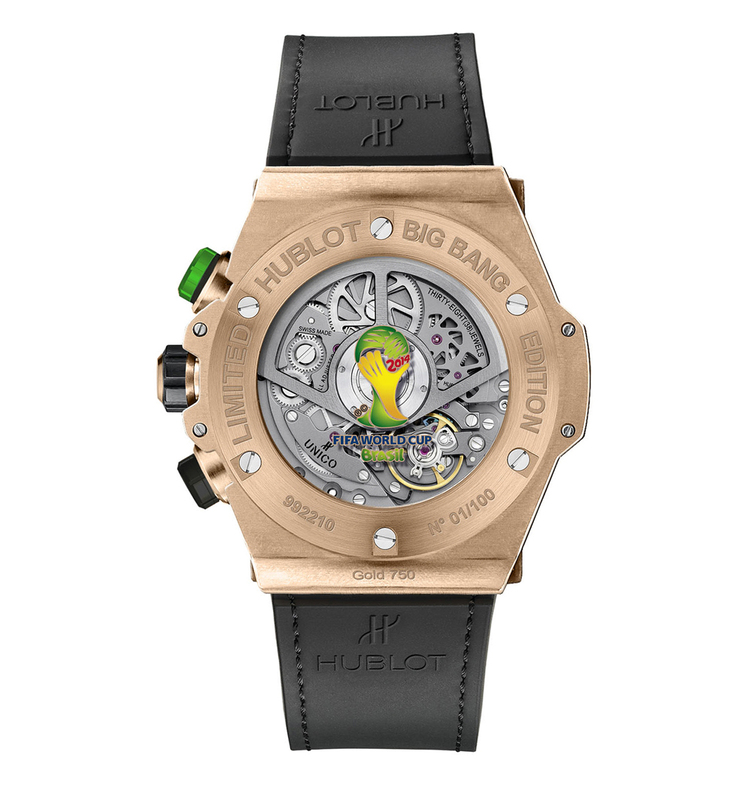 The design of the piece features a ‘Big Bang Unico’ case with a powerful 45.5 mm diameter for a stylish look. The bezel is secured by the famous 6 H-shaped screws, designed in relief to allow alternating polished and matte finishes. This new fascinating watch is available in 18K King Gold with carbon fiber bezel limited to 100 pieces or in black ceramic with carbon fiber bezel limited to 200 pieces. Sticker Price $42,200 USD for 18K King Gold and $26,200 for Black Ceramic. The Limited Edition Octo Bi-Retro Brazil timepiece features a 43mm steel case with a sapphire crystal and case back. Powered by a Bulgari manufacture Caliber GG 7722 movement, the Octo Bi-Retro Brazil features a jumping hour at 12 o’clock, a bi-retrograde display for minutes and date on the lower portion of the dial. 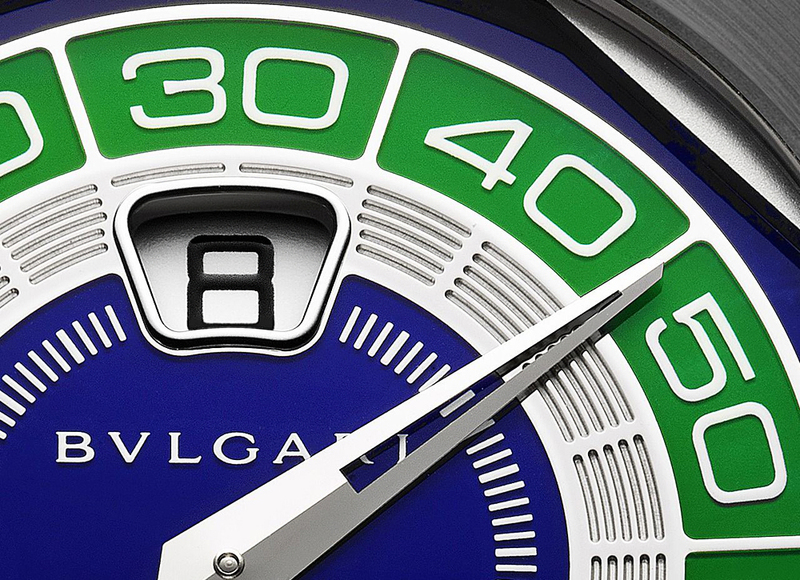 The dial colors of course, blue, green and yellow and each representing Brazilian tradition. The blue represents the sky of Rio de Janiero, yellow represents the riches of the country and green represents the House of Braganza, the former royal family of Brazil. The dial pops with colors that have been lacquered onto the surface using the champlevé technique. Rhodium plated faceted hands point to the seconds and date on the dial. The Bulgari Octo Bi-Retro Brazil Limited Edition is available as part of a limited release of 50 special pieces in honor of The 2014 World Cup in Brazil. BeautifulLife has already told earlier about cool men’s watches – check: 50 Best All-Black Watches for Men. Chiếc đồng hồ quá đẹp .rất ấn tượng về chiếc đồng hồ này.